On Sunday the 4th of March the regular maintenance hike took a different turn. Instead of walking and cleaning a trail we went to the beach! Not to relax, but to be productive in a different way! 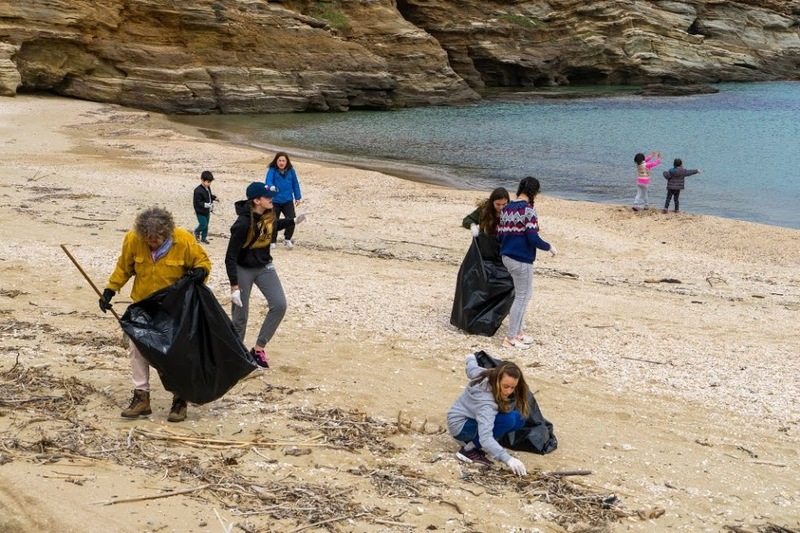 Around 50 volunteers from all ages gathered on Ateni Beach and spent a wonderful day cleaning the shore. 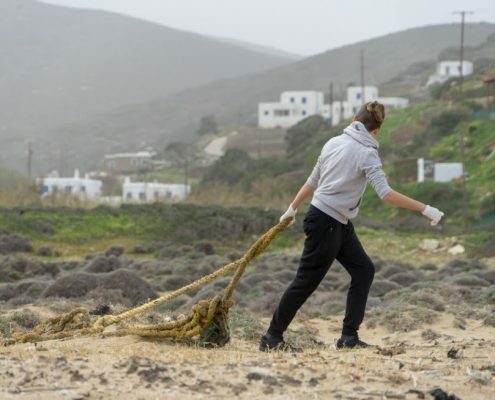 Ateni is one of Andros’ largest and prettiest beaches, however during prevailing northerly winds a lot of plastic debris can be blown into the bay and remains on the beach and on the important wetland behind it. Our 50 collectors enthusiastically spread all over the beach like busy bees to collect the accumulated plastic waste. Sleeves were rolled up and soon even trousers as a lot was to be found even in the shallow waters of the beach and river. In the end we collected around ONE TON! Our main focus was plastic, since it is so durable that it remains very long in the environment and is thus harmful for the ocean. Plastic doesn’t degrade, but breaks into ever smaller pieces. Animals can mistake it for food and eat so much that they die with a full stomach where no more natural food can fit in. Additionally plastic behaves like a sponge in the ocean. Sucking up many toxins originating from the industry or agricultural sector that are normally diluted and concentrate them. If this “enriched” plastic is eaten by marine animals the toxins get transferred into the foodchain and finally land on our plates. There was much to be found in the debris on the beach: Empty water bottles, caps, plastic bags, plastic food packaging and from cosmetics, Styrofoam, drinking straws, cups, lighters, balloons, sport equipment like fins, paint brushes, broomsticks, plastic drums and canisters, buckets, old fishing nets and mooring lines, longline glow sticks, lots of shoes and even medicine and syringes. Some sientific data still has to ba analysed. 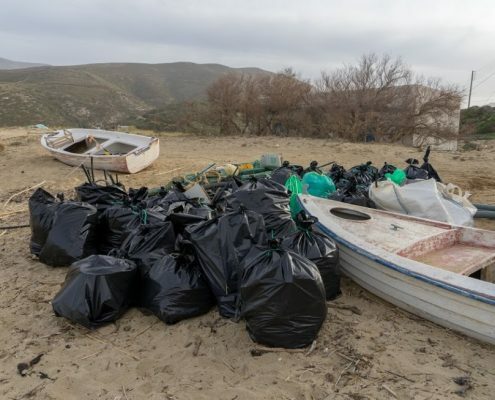 However the hunt for microplastic and nurdles (preproduction pellets) revealed a substantial amount of pollution at the microscopic level. 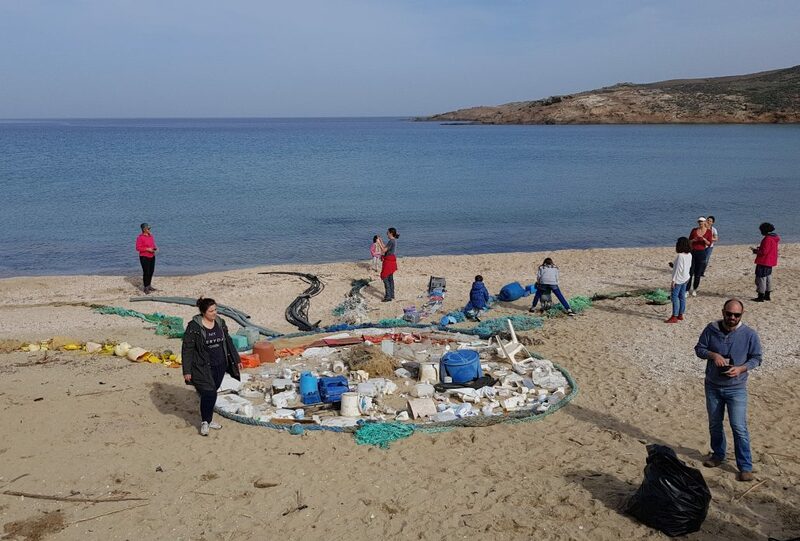 Out of all plastic waste we finally created a large 12x15m message in the sand to all: A smiling octopus who is happy that there is a bit less garbage in the sea and is saying THANK YOU! 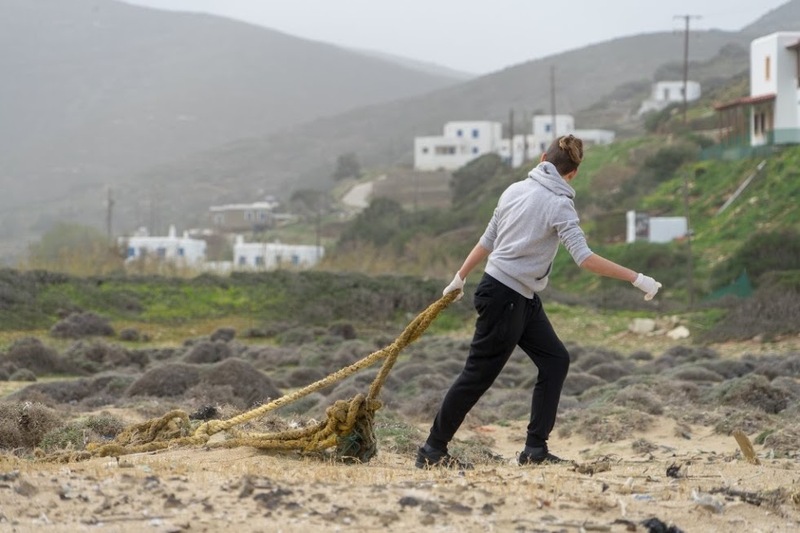 The call to action came from the local groups Andros Routes and MyBlueOcean. We as well are saying THANK YOU! To you all that helped and made this possible. 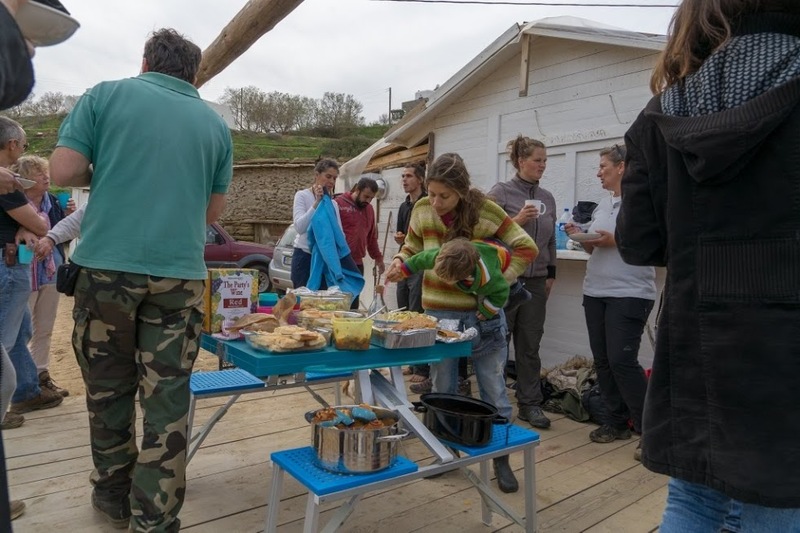 As well as to those who make tasty snacks for the afterwork beach picnic. 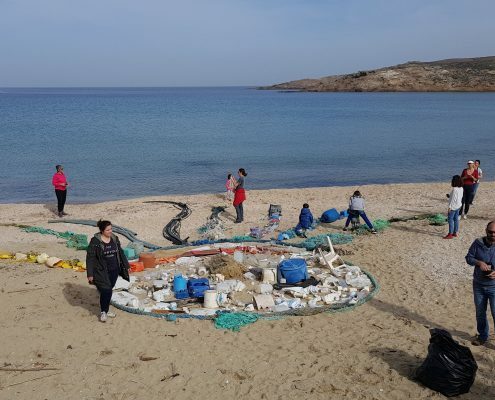 A great thanks goes out to the kids and teachers of the highschool of Gavrio and their recycling program that pulled their forces together to help gather plastics on their otherwise free day. 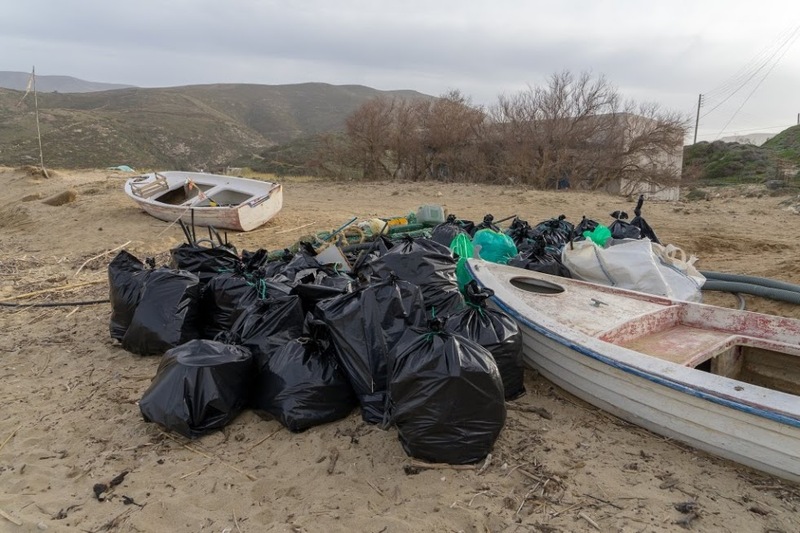 We also want to thank the local hardware store from Vlamis Georgios, for their donation of sturdy bags to collect the rubbish in as well as the recycling company from Dimitrios Petsas, for their assistance. Unfortunately in the end the collected plastics were not suitable for recycling. 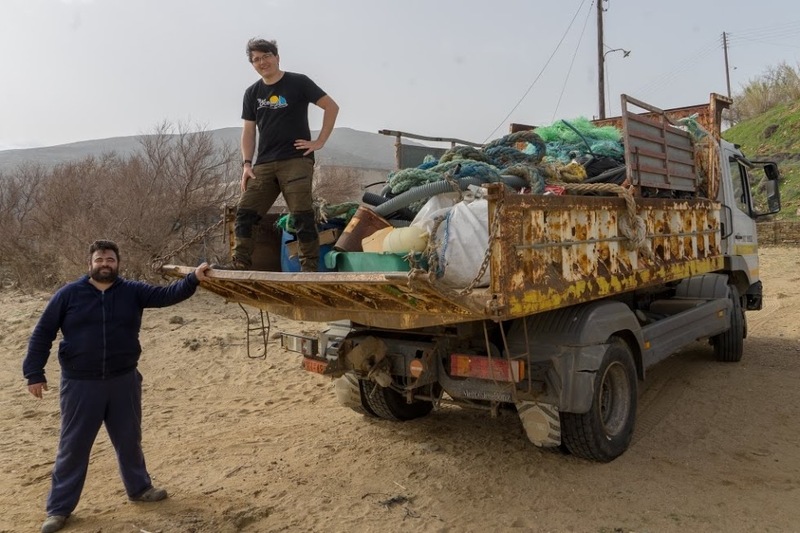 However they assisted us and gave us valuable tips for the next beach cleanup and even offered their direct participation. 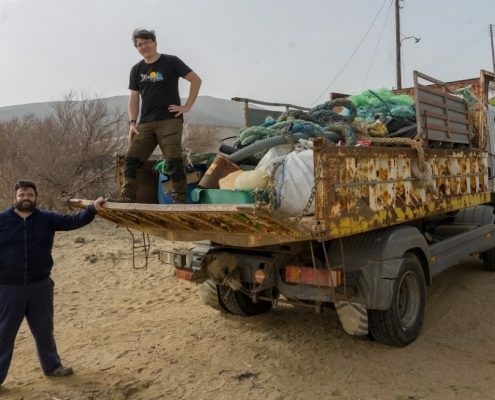 The garbage was finally collected by the local municipality with a truck and has been disposed of. We leave behind a clean beach and wonderful memories of this eventful day! Some of you might still have sore muscles but you did great! 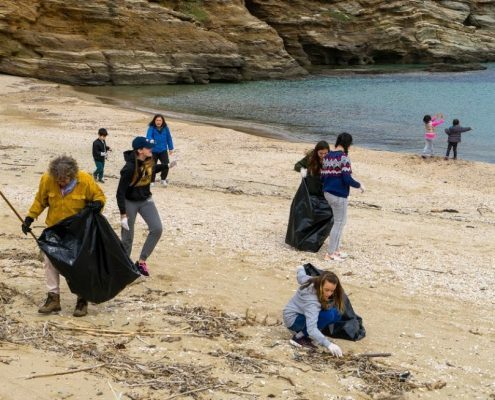 Cleaning beaches is a small but important step against the pollution of our environment and shows that everyone can do something. Small individual efforts can have a great potential if many join in. 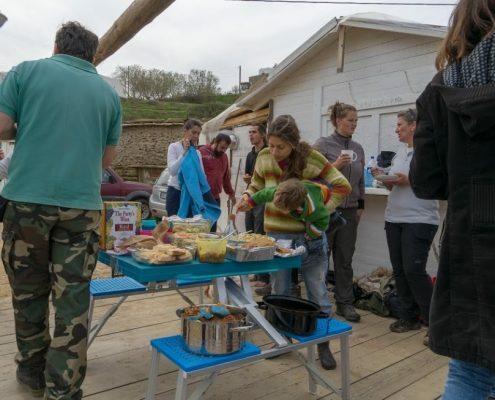 Together we can make even more happen!